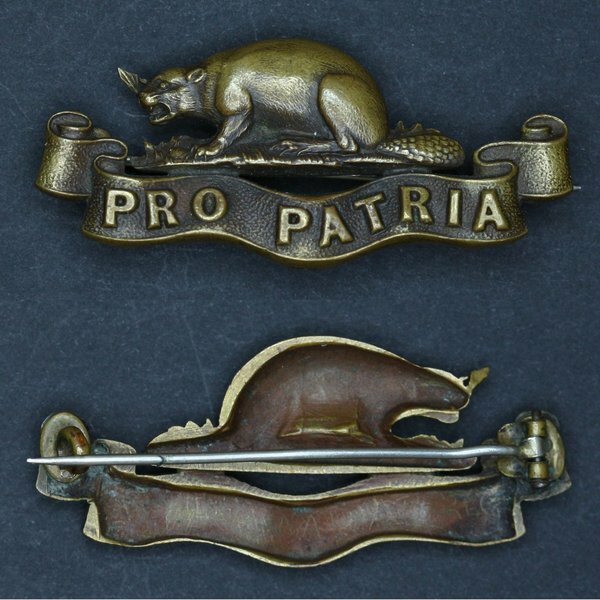 The images below show some of the more unique variations of Regimental insignia in roles other than uniform badges. South African War era sweetheart pin fashioned from a regimental button. 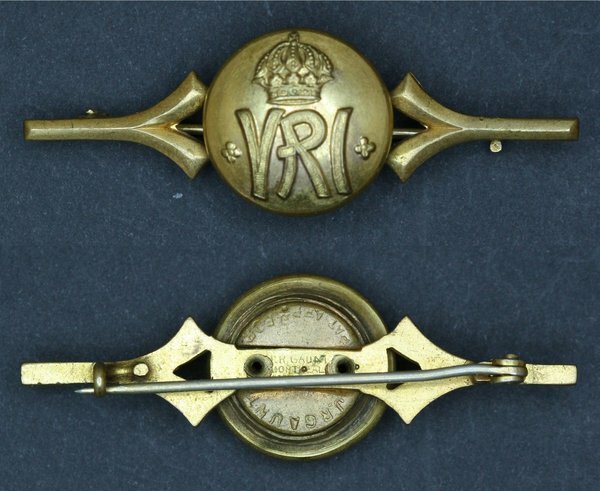 Button and brooch bar both marked J.R. Gaunt (Montreal). 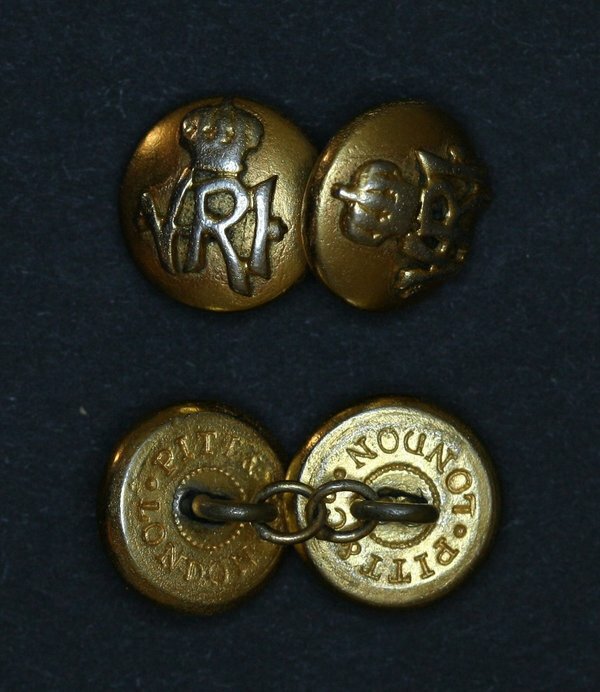 Cufflinks made from RCR guelphic crown buttons. Marked: Pitt & Co. London. 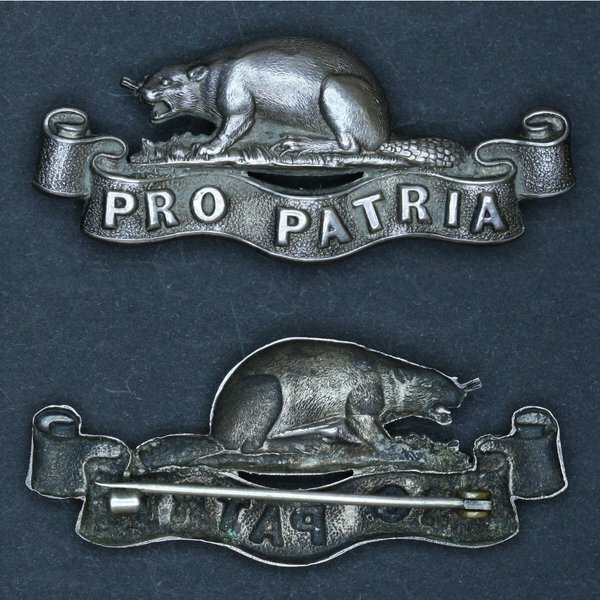 Pitt was a manufacturer of Army and Navy button from 1875 to 1899. 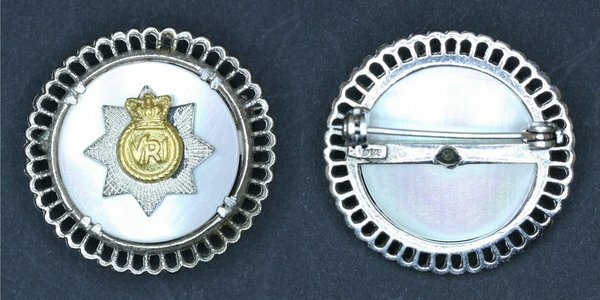 Silver brooch of the 1927 pattern St Edward's Crown badge, 1/2-inch in diameter. 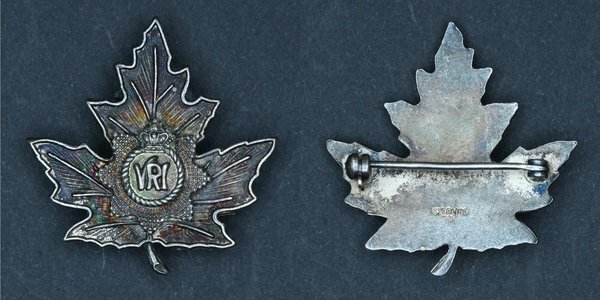 Silver maple leaf brooch with an 1927 pattern St Edward's Crown decoration. 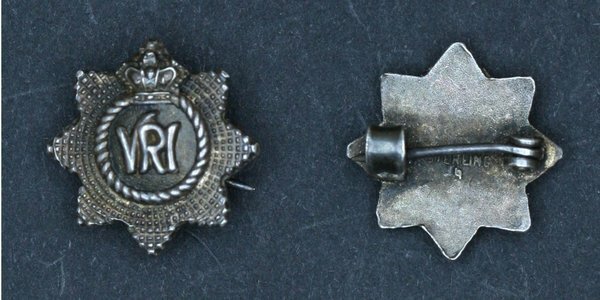 First World War sweetheart pin from an excellent quality brass collar badge. 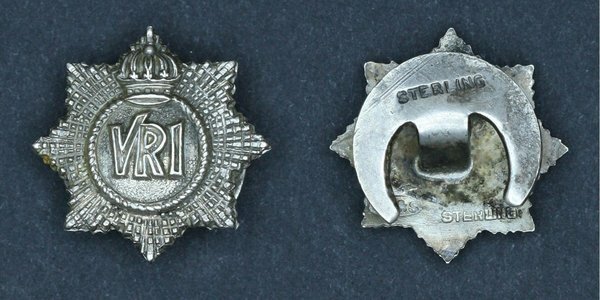 First World War sweetheart pin from a silver collar badge. 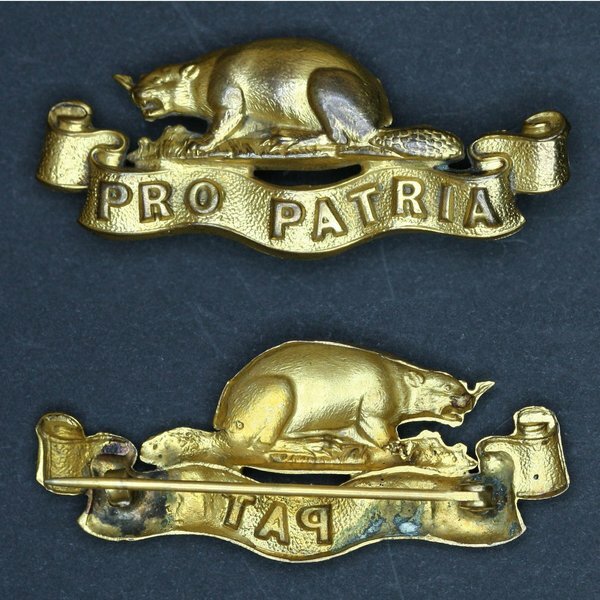 First World War sweetheart pin from a gilt collar badge. 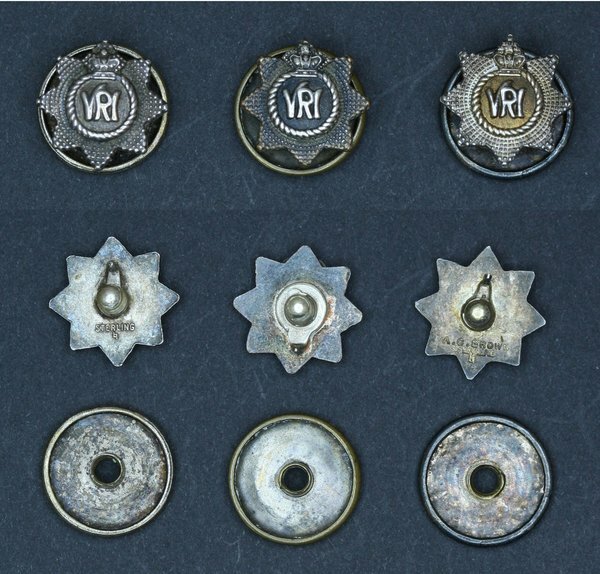 Silver, screw-backed, button hole lapel pins with an 1927 pattern St Edward's Crown decoration, 1/2-inch in diameter. 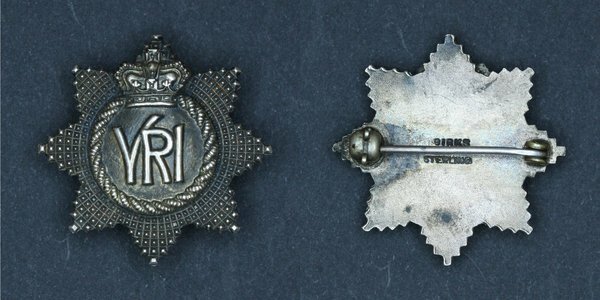 One of the pictured examples has a gilt centrepiece with silver lettering for an officers' variation. 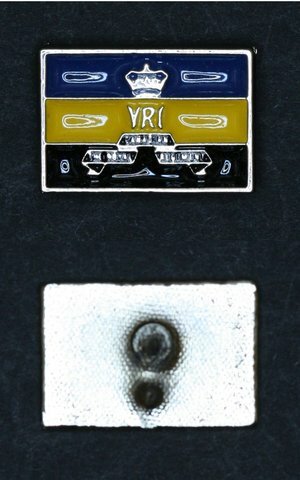 Screw-backed, button hole lapel pin. C.E.F. 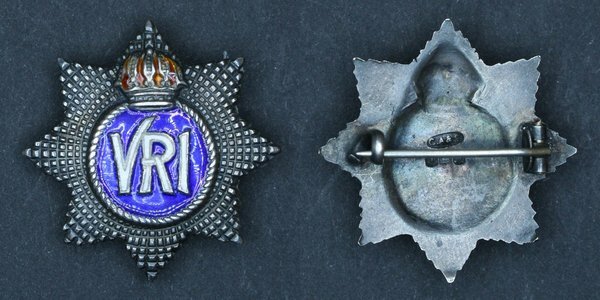 reunion button-hole lapel pin, representing the Regiments shoulder flashes of the First World War (green circle over French grey division flash). Marked: Wellings. 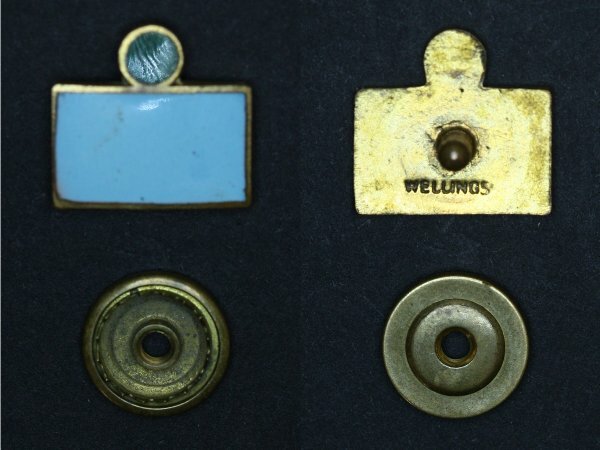 A set of gold plated blazer buttons in the guelphic crown pattern. Sterling silver brooch, 1-inch in diameter. Marked sterling, by Birks. 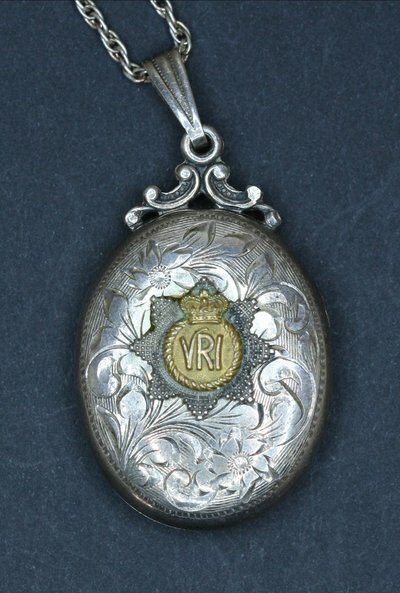 Silver locket with an 1927 pattern St Edward's Crown decoration. Mother of pearl and silver brooch. 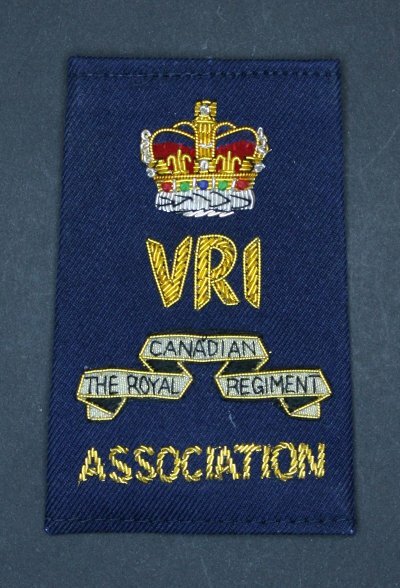 This pattern of brooch was created for the wives of members of the 3rd Battalion when the Canadian Fusiliers and Oxford Rifles were amalagamated to form the Reserve Battalion of The RCR in 1954. Enamalled lapel pin deisgned after the regimental banner. 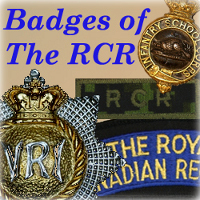 The RCR Association version of the enamalled lapel pin designed after the regimental banner. 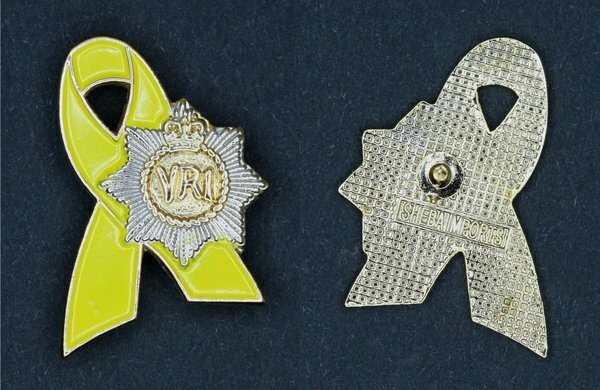 Regimental "Support the Troops" ribbon lapel pin. 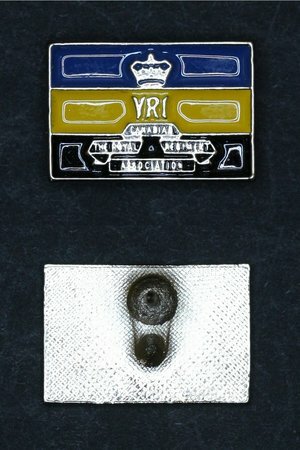 Regimental 125th anniversary lapel pin. Regimental 125th anniversary "Support the Troops" ribbon lapel pin. The RCR Association "slip-on". In an attempt to create a regimental "uniform" to be worn in warm weather when the regimental blazer was undesirable, The RCR Association approved the creation of these slip-ons to be worn on a white shirt wth epaulettes. They were not an expected form of dress and were never worn by many members of the Association. 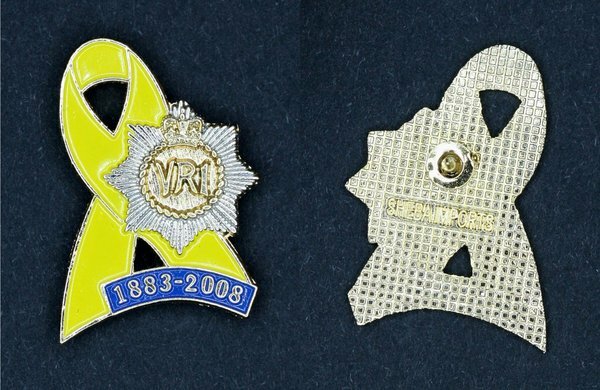 Regimental lapel pin created in 2010, matching the design of the metal blazer badge.